We’ve been asking our users what improvements they’d like to see to FIND Maps. The top response was easier map printing. So we’ve responded, and introduced a couple of significant enhancements to printing. Printing is important because it enables users to get map and accompanying annotations out of findmaps.co.uk and into a savable and sendable format (PDF or JPEG). The only other way to do this is to ‘export’ the map as data, but this requires high-end professional mapping software to open. Our software engineers have now added additional map printing functionality to the site to make things faster and easier. The first change makes editing saved prints more straightforward. 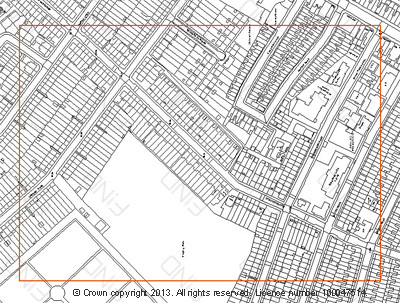 Now once you've saved a project the print area is clearly marked with a red border on the map screen. This new feature makes previous print areas immediately apparent; making it easier to identify them and will help users to avoid paying again for duplicate prints. It will also make it easier for users to change text and annotation on the print if needed. The second new feature adds four standard print defaults scales to all maps. This means you can save time by selecting from frequently used standard map scales when printing. For example, if you are printing ‘Street’ map, it can be printed at 1:10 000 scale by selecting this from the drop down menu. While making these changes to printing we have also taken the time to reduce the cost of printing the ‘Town’ map (1:50 000). Printing is now £1 for the first Km² and just 6p for each subsequent Km².